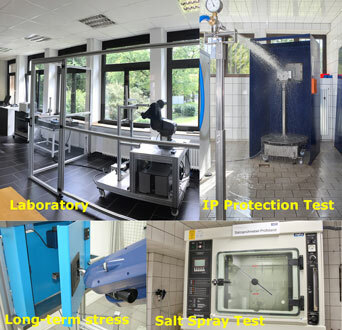 EMKA has always believed it is important to support our standard and custom products with a comprehensive in-house testing facility. This has been a significant part of EMKA engineering over many years and now our Technology Centre has been accredited by the Deutsche Akkreditierungsstelle GmbH – DAkkS) (The German National Accreditation Body) for ten selected test procedures. According to the standard DIN EN ISO/IEC 17025, it confirms the capability of EMKA as a world market leader for locking devices, hinges and seals in the performance of material, life cycle and environmental simulation tests. Their test laboratory thus meets all legal and standards requirements at the highest international level. The test laboratory is located in our technology centre, with allows us to offer a wide range of measuring and testing procedures – always taking into account the high-quality requirements for locks, hinges and seals. The facility has extensive equipment: from the water jet and dust test system, a salt spray and climate chamber on a spectral analyser to the tensile tester. The focus is on numerous processes in the field of environmental simulation testing, technical and mechanical testing of fittings as well as material analysis and life tests. 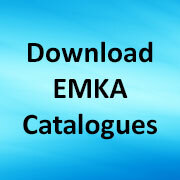 Share the post "EMKA in-house testing laboratory now accredited to highest international standards"